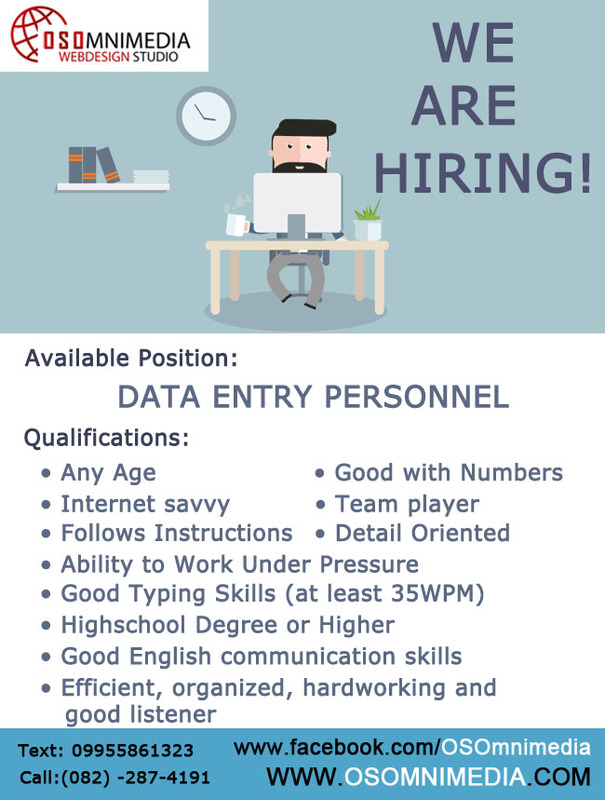 Job Description: Basic Information technology level work involving entering data into a database, MS Word, Excel or other applications. May also do some graphic arts work. Challenging and Creative Work Environment, Competitive Salaries and Health Benefits Available.